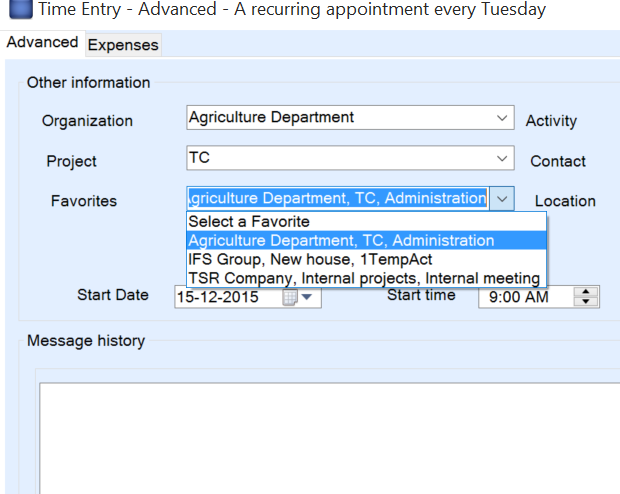 This function helps you to automatically have the TSR info in your appointments. This can be useful if you often work on the same organization/project/activity. Step 1: Select an organization and a related project and activity. Step 2: Click the Add/Remove button to add/remove to/from your list of favorites. 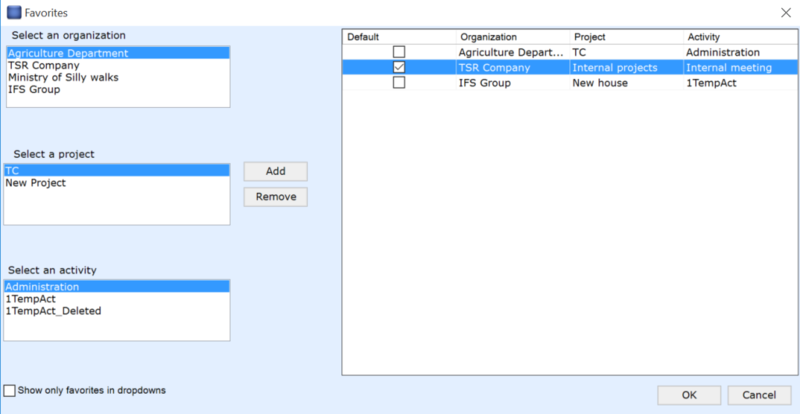 Step 3: Check a favorite as default and it will then be inserted automatically in new appointments with TSR info. Step 4: If you check the box, ‘Show only favorites in dropdown’, only these will be selectable in the dropdowns when creating time entries. Step 5: Click on the OK button. And, as mentioned, if you’ve selected a default, the TSR fields will automatically be pre-filled with these values when creating new time entries.